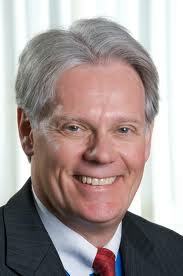 Governor Deal Asked, Is Transportation Sales Tax In Trouble? Governor Nathan Deal did not hesitate Wednesday when was asked whether the state regional transportation sales tax referendum scheduled for next year is in trouble, as some believe. If the measure passes the sales tax would be imposed for ten years and it would fund projects that voters would know about before they approve the money. 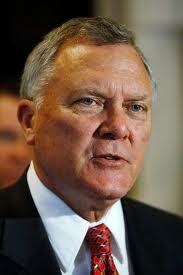 “I don’t necessarily think that it is,” Governor Deal replied during a news conference at the State Capitol. “Obviously, anytime in an economy like we have now getting people to understand that an additional one penny is going to be asked of them is a very significant undertaking. T-SPLOST – the penny-per-dollar transportation special local option sales tax – is scheduled for a July 2012 primary election vote. Deal will ask the General Assembly to move the vote to next year’s November 8 general election. Look for the change to become official when the General Assembly is in town starting next week for the once every ten years redistricting special session. Almost 2.6 million Georgians voted in the November 2010 general election, but fewer than 1.1 million voted in the summer primary. The move is a gamble that more voters who are inclined to support the measure will be vote in the general election. Now to the business of redistricting. Legislators and mapmakers have been working for months on new maps that will add one U.S. House district in north Georgia, giving the state 14 Congress members. Population growth and shifts will increase north Georgia representation in the state Senate and House, with the byproduct being reduced representation from southern sections. State House district proposed maps will be released online this Friday. Georgia voting district maps face certification by the U.S. Justice Department before they can become official. Legislators will also be asked to extend the gasoline tax rate freeze that Deal imposed in July. Some very big issues that are not part of the Special Session remain in play. Work continues on tax reform that was left incomplete in April when legislators lost confidence in fiscal data. A K-12 education finance reform committee is at work on ideas to rewrite the state’s 26-year-old public education funding formula. A corrections reform effort is underway, and last week Governor Deal appointed a commission to work on improving higher education graduation rates.